Happy Tuesday friends! 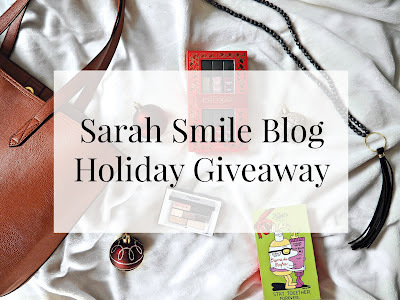 I am SO excited to finally share this giveaway with you guys. Over $150 of holiday goodies - just for you!! When I was putting it together I envisioned everything you'd need for a special holiday party or a pamper night in. 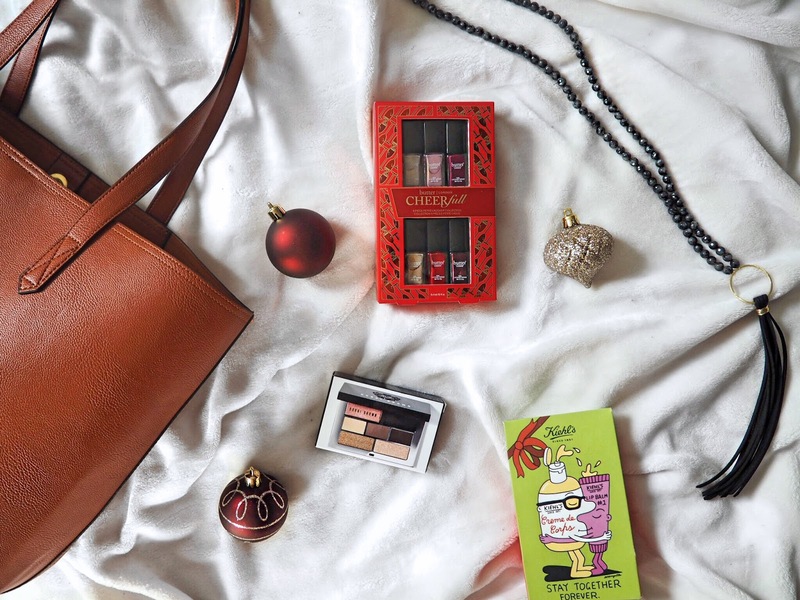 One winner will receive an Old Navy tote, perfect for work or school, a Butter London holiday polish set, a Bobbi Brown eye-look-in-a-palette set, a holiday set from Kiehl's for the softest winter skin, and a handmade beaded necklace from local designer Emmerson Designs! 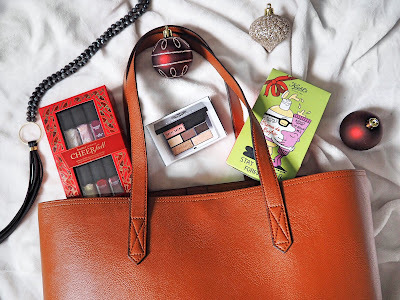 The tote looks so nice for everyday use I almost kept this one for myself (; The Butter London nail polishes are such good quality and the colors are perfect for the holidays and that Bobbi Brown eye set is AMAZING! I ordered one after receiving this one in the mail and I love it. It reminds me a little of the Naked 3 palette, but the shades are so smooth and it makes the perfect travel palette because it goes from day to night really well! That necklace from Emmerson Designs is gorgeous, and it has turned me, a person who hardly ever wears jewelry, into wanting to start a collection. I love how simple it is, which means it will go with everything from a tee shirt and jeans to a nice dress, but it just catches your eye! Last but not least, I love this Kiehl's set. My skin gets so dry in the winter, which is such a bummer because I love wearing skirts and dresses. This set, with one of my favorite lip cremes too!, will easily be one of your favorites! I love gift giving. It is hands down one of my favorite parts of the holidays, everything from finding the perfect gift, wrapping it, and watching someone open it and love it! I 100% know that giving gifts is my love language. Because of that, I wanted to extend the gift giving to the blog. It makes me so happy to know that one of you will receive this joyful little package right before Christmas and I hope it makes your holidays even brighter! Be a part of Sarah Smile's email list! This part is required to make the other entries (below) count! Plus, you'll get awesome emails from me once a week giving you sneak peek's at the coming posts, or a few extra when there's something really exciting going on! Good luck everyone! I can't wait to send this off to someone and I hope you enjoy it as much as I've enjoyed putting it together!